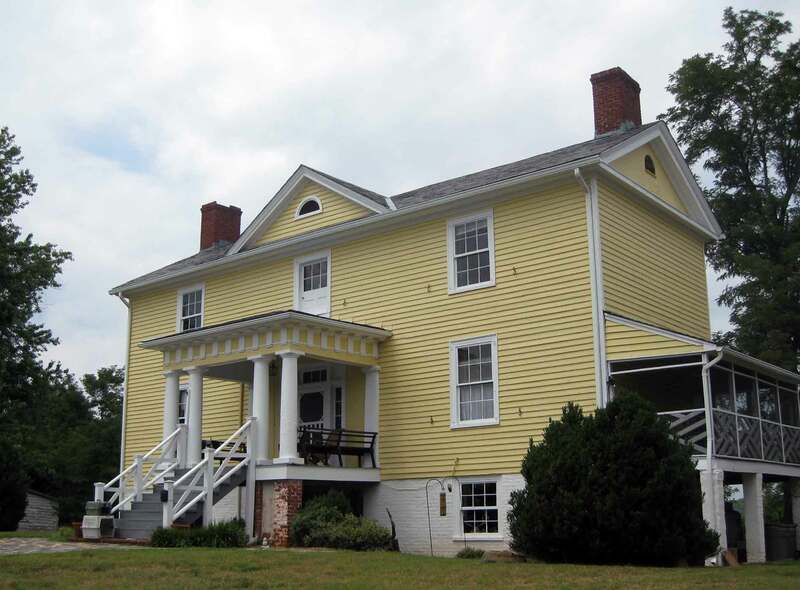 Buckingham Schools: Seven Islands School | slate river ramblings . . . .
Not all of Buckingham County’s private academies closed as a result of the Civil War. 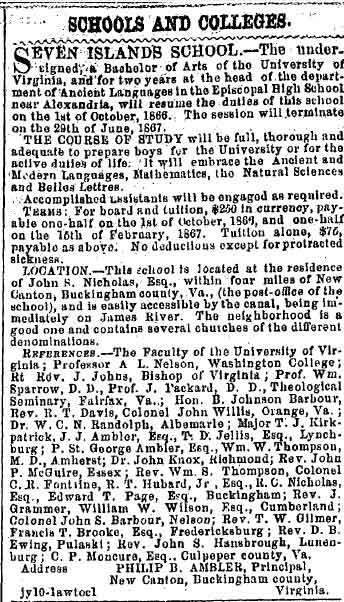 Seven Islands School survived as indicated by this advertisement placed in the Richmond Whig on August 7, 1866. One Buckingham cousin attended school there as young boy from roughly 1898 to 1900. At that time, Seven Islands a very crowded place. About a dozen members of the extended Nicholas family lived there. The school was confined to the English basement of the Nicholas home. In 1900, Philip Ambler, born 1834, was still teaching classes. The Buckingham Outlaws: Part II | slate river ramblings . . . .
Buckingham Notable: Philip Ambler | slate river ramblings . . . .
Caryswood Plantation | slate river ramblings . . . .